We love a good party favor, and the perfect party favor doesn’t need to include much to make an impact. Here are two favor ideas for your next event. 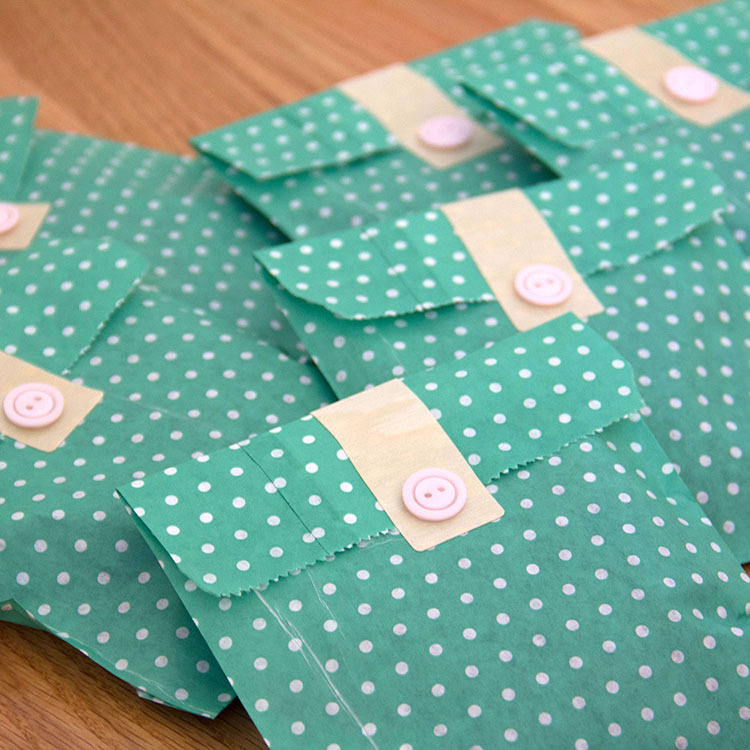 We created these teal polka dot paper bag favors using ordinary printed bags and Real Wood Mailing Labels to seal the bag. Our Real Wood Mailing labels come in Cherry and Birch finishes and can be used for so much more than addressing envelopes. 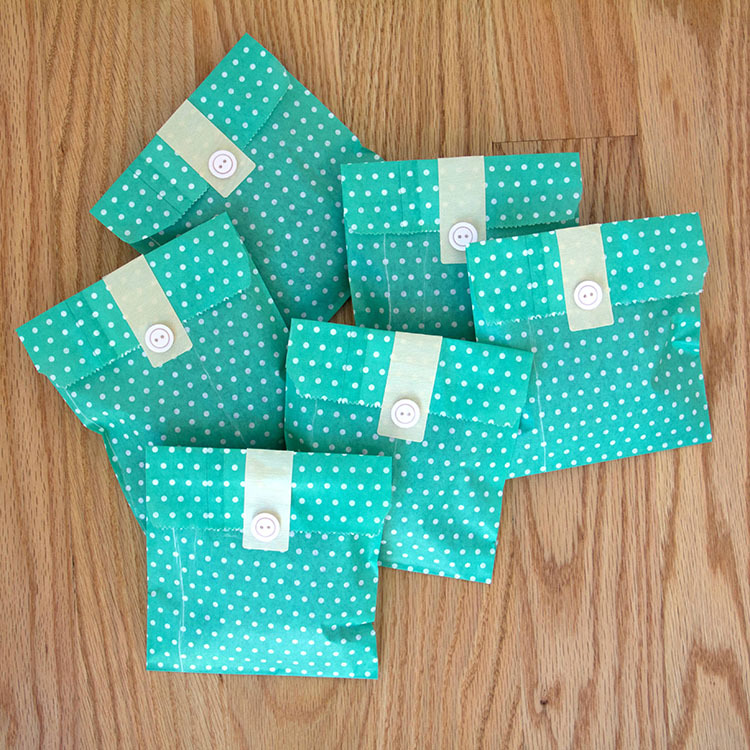 Here we filled the teal polka dot favor bag with a treat. Next we folded the top edge of the bag over to close. Then sealed the party favor bag with a Birch Wood mailing label. You can add a message or simple button (like we did) for embellishment and these favors are ready to be gifted. Real Wood Paper is a great choice for creating a 3d box. 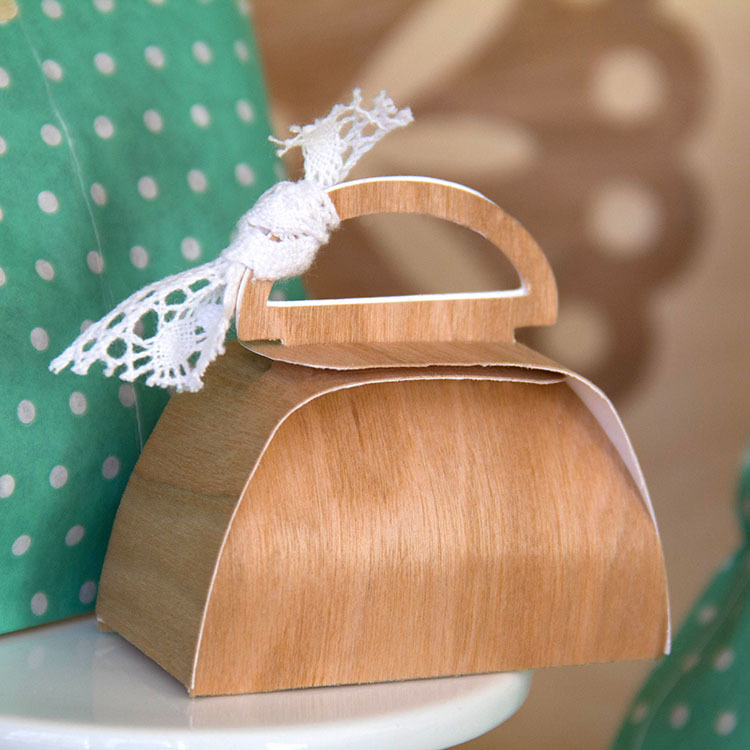 These Cherry Wood treat boxes were created by using a purse box cut file (like this one), a 12″x12″ sheet of Cherry Wood paper and an e-cutter. 1. 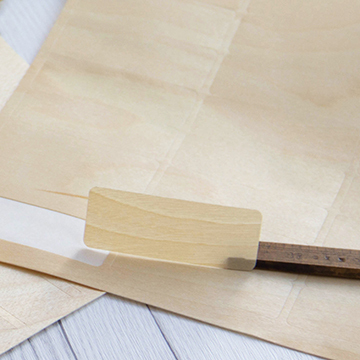 Cut the box file onto a sheet of Cherry Wood paper using an e-cutter. 2. Fold and assemble the box and lightly sand the edges if needed. 3. Fill the box with a small treat. 4. Tie box closed with a ribbon. 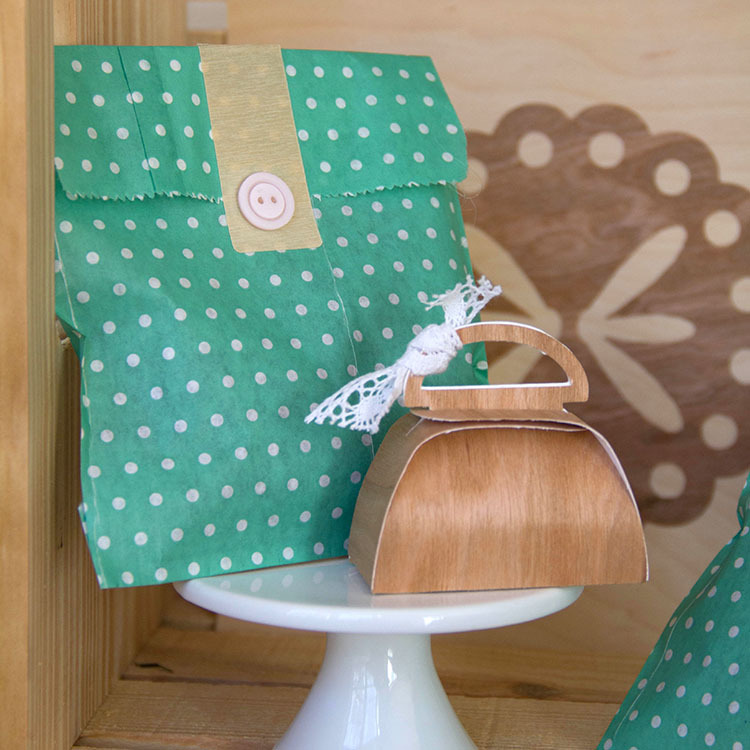 This entry was posted in DIY Projects and tagged Birch Wood Mailing labels, Cherry Wood paper, mailing labels, party favor, real wood paper, treat bag, wood box.